Why oh why it’s taken me so long to discover the wonderous simplicity of savory traybakes is a mystery?. An impressively tasty meal with minimum prep, mess or fuss that the whole family can enjoy. 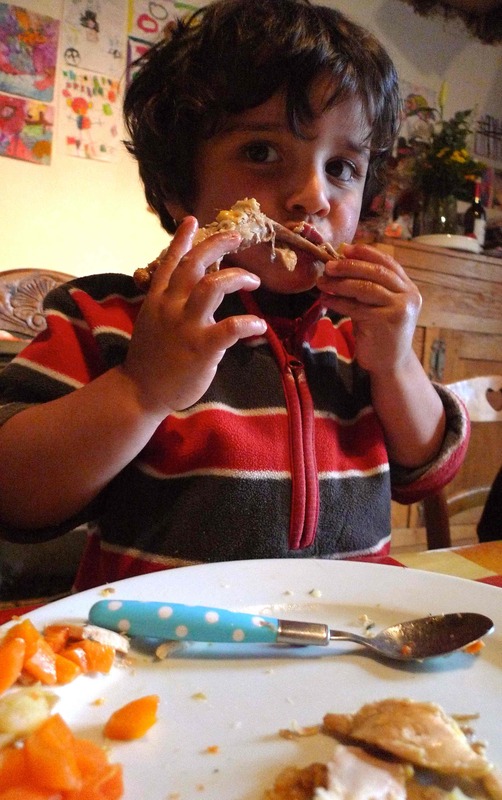 And great to place on the dinner table for everyone to hungrily dig in to and help themselves, which is always fun and sociable. They’re definitely the way forward to perfect family fodder in my book. Since my ‘discovery’ I have to confess to their over-zealous appearance on the Chez Foti table, but when the kids are eagerly tucking in, as without fail they do to a traybake, how can I not?!. And this particular one’s most definitely my Traybake du Jour, with asparagus suddenly appearing at more reasonable end of season prices. 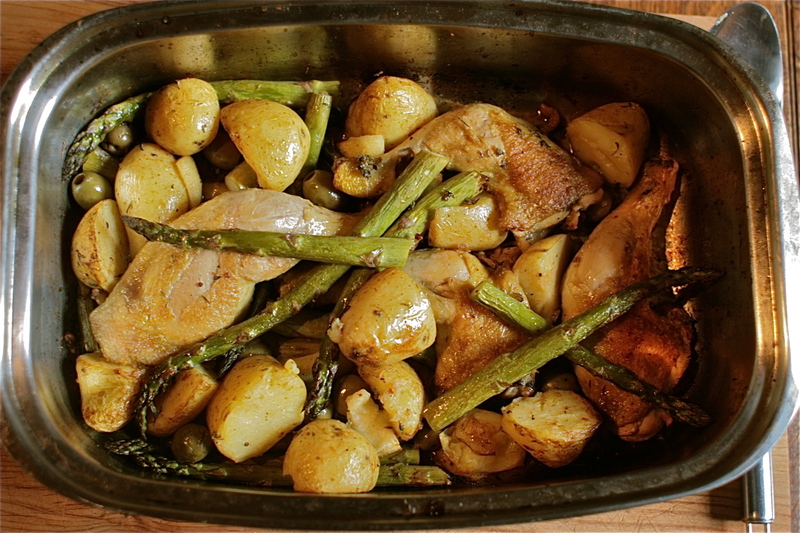 Simply chicken pieces, new potatoes and asparagus all roasted together in a yumminess of lemon, garlic, fresh thyme and green olives. Since Jacques has recently acquired a taste for olives (bordering screaming obsession!) I seem to be adding them to everything these days; luckily his olive adverse big sister’s quite happy to pick them out and pass them over his way. And if you’ve never tried asparagus roasted with such heady flavours believe me you’re missing out. Divine. And always a bit of fight as to who gets the last spear…. Admittedly this is hardly a recipe, rather a throwing together of a few select ingredients. Traybakes are obviously open to a good deal of seasonal variation…and a handy way of clearing out your fridge! Carrots, parsnips, squash, peppers, courgettes, sweet potato and onions all roast handsomely and you could also vary your meat to pork or sausages (or leave out altogether), and of course opt for ‘old’ tatters when the newbies aren’t around. And as for the herbs, throw in whatever you have! Orange segments are also a tasty variation to the lemon, particularly with chicken, red pepper and black olives. 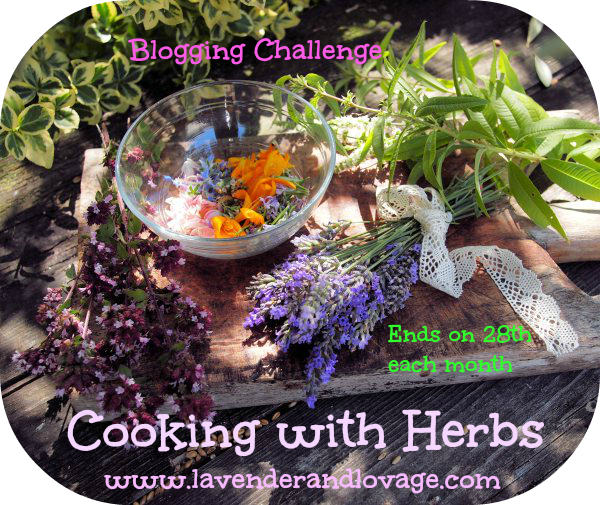 Now for the challenges, as there’s plenty of thyme involved to Lavender & Lovage’s Herbs on Saturday event. 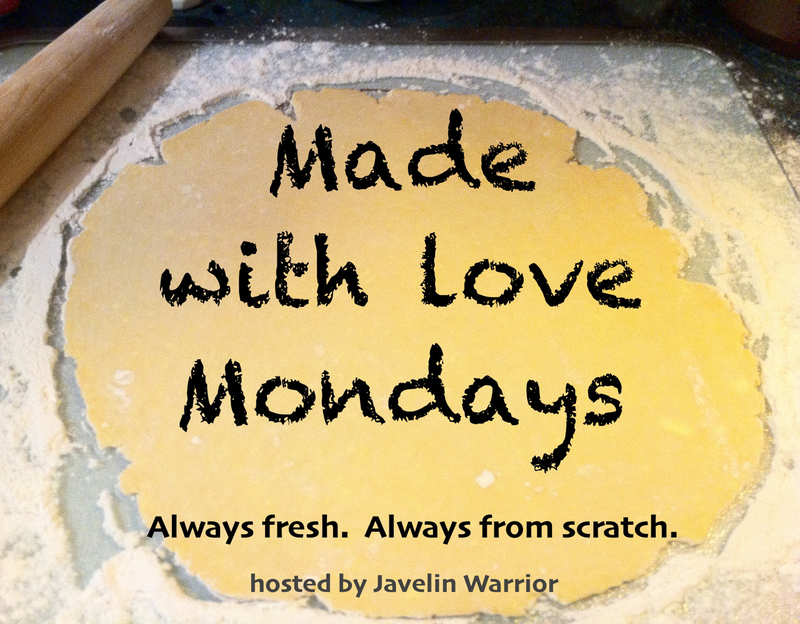 To Javelin Warrior’s Made with Love Mondays as it’s a made from scratch meal. 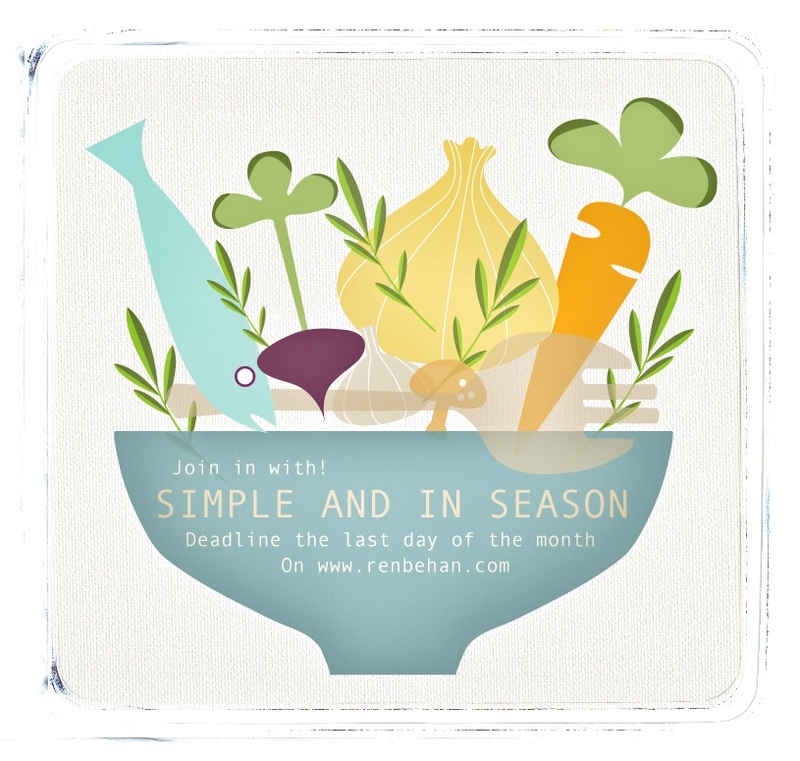 And finally to Ren Behan’s Simple and in Season as asparagus is unquestionably still in season!. 2. Cut any of the larger potatoes in 2 or 3 and leave smaller ones whole. Par-cook them for 8 minutes in boiling water. Drain and set aside. 3. While the potatoes are boiling heat the oil in a large hob-proof roasting tin. Brown the chicken pieces on all sides and take off the heat. 4. Once the chicken’s browned throw the potatoes into the tin along with the thyme, garlic cloves, juice of half a lemon, and a pinch of salt and pepper (no salt if you’re making for toddlers). Give everything a good stir around and place in the pre-heated oven for 25 minutes. 5. Prepare the asparagus by bending each spear and snapping off the woody ends, discard the ends. 5. 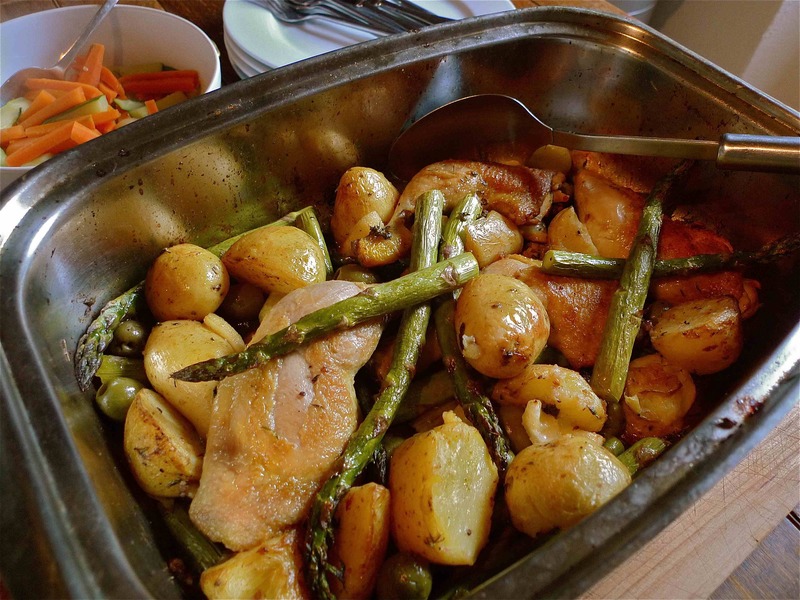 Remove the roasting tin from the oven and throw in the asparagus spears, lemon segments and the olives if using. Give everything a good stir and place back in the oven for a further 20 to 25 minutes. Take out of the oven and stir everything around a little a couple of times during this period. 6. It’s ready when the chicken and potatoes are fully cooked through and golden. 7. Place on the dinner table and let everyone help themselves. Perfect family fun fodder!